Less than 30 years old, Winton Park Gardens are surprisingly mature and abundant. The creation of the 5 acres of garden from a field began in 1990 and has evolved slowly over a period of time. 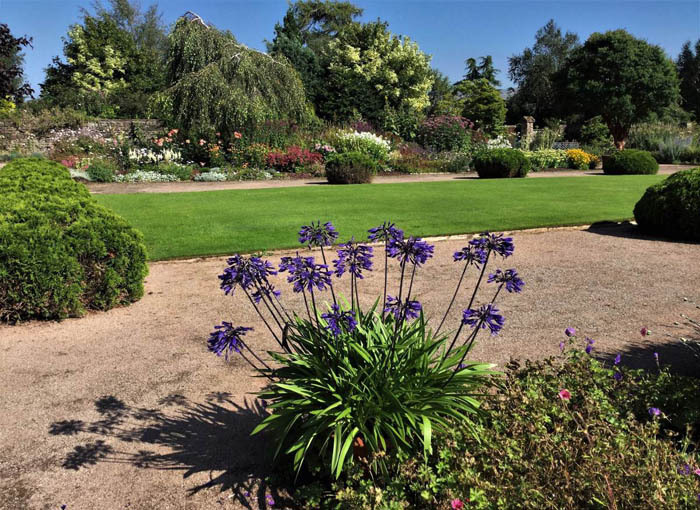 The gardens are now open to the public on selected Sundays from May to September and occasionally for private viewings by arrangement only. Light refreshments are available. 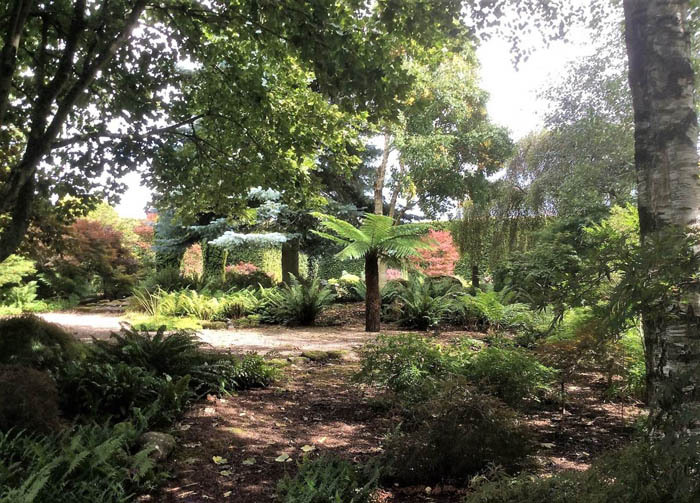 As the garden started to develop it soon became evident that without shelter belts, little would grow and so a series of conifer hedges, some Italian alders and silver birch were planted to give protection for the many acers and shade for the hostas that now adorn parts of the garden. A garden with many vistas, lawn and herbaceous borders to the south give way to a distant view of Mallerstang Edge. 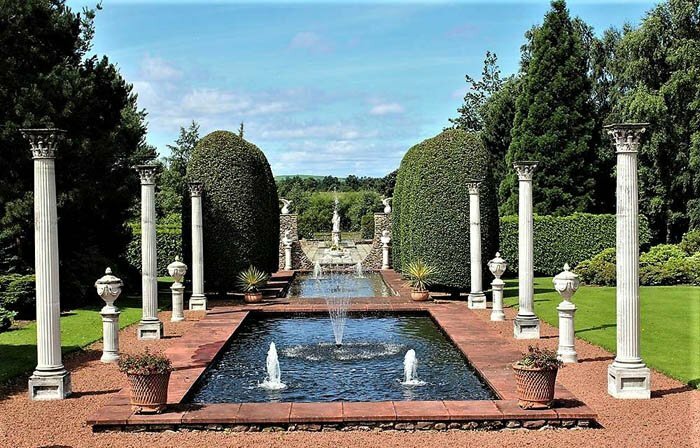 To the west, a series of formal ponds, fountains, pillars, urns and statues give an Italian feel to this Cumbrian garden culminating with the River Eden. Meandering paths connect the various aspects of the garden. Behind the large beech hedge is a wildlife pond which leads to an area of grasses, intermixed with kniphofia and agapanthus. Acers, hostas and a small pinery lead on to a rose bed of over one thousand roses. 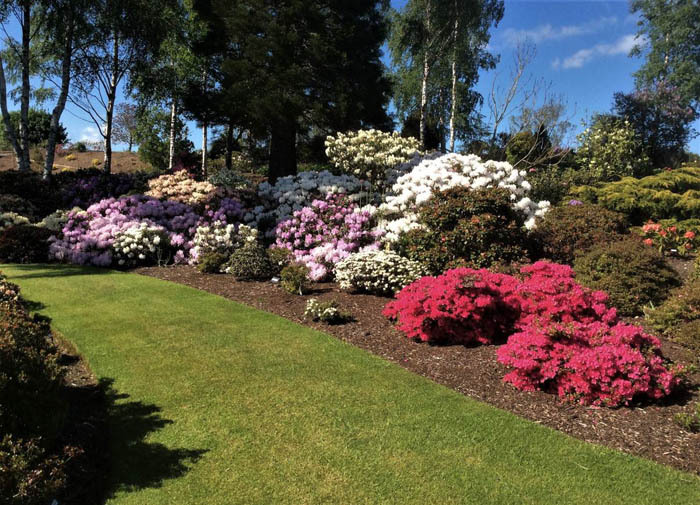 To the north of the formal ponds, rhododendron and azaleas abound. Beyond them on higher ground, recently planted summer, autumn and winter flowering heathers will, in due course, provide a colourful backcloth. 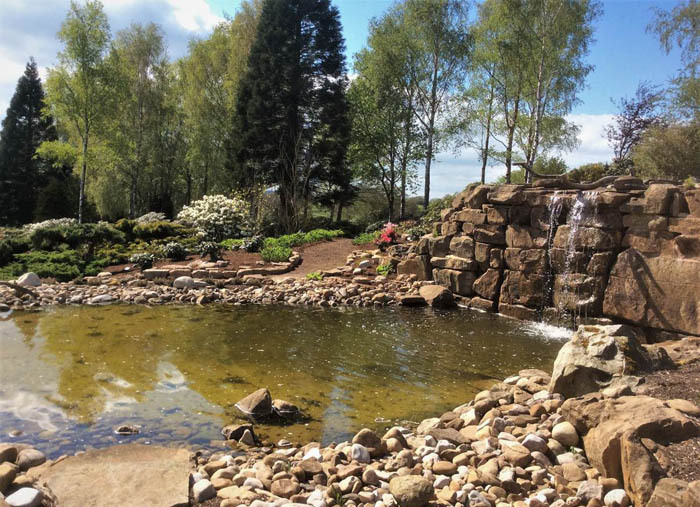 A bridge over a stream with waterfall gives the best view of the garden as a whole. The creation of the garden has provided an ideal habitat for many species. Several red squirrels have made the garden their base and have successfully bred their young. Kingfishers occasionally visit the garden and oyster catchers nest in the gravel adjoining the ponds. The success of the hostas amazes many, perhaps it is the abundance of frogs and hedgehogs that keep the slugs at bay! Work continues and it is hoped the final paved area to the west will be completed this Spring before the visitors arrive. Admission : Adults £6, children free.